I’ve spent many years studying the art of success, trying to figure out what makes successful people stand out from the rest and though there are many factors that determine whether you will be successful or not the biggest one that I have found, without any doubt, is a consistent positive attitude. Intelligence is obviously important, as is hard work … but without a positive attitude you won’t get very far. Intelligence is huge of course but pair it up with a negative attitude and no matter how intelligent you are, you will regularly focus on the problem and the challenges inbetween rather than finding the actual solution, wasting time along the way to complain to others about the situation. That’s hardly going to lead to a steady progression up the ladder! Whereas a relentless positive attitude will provide the persistence required to get results, regardless of any obstacles that come along! Many people that I have met and worked with throughout my career look at the management team or senior team members and don’t quite realise this key characteristic of a positive attitude is a major factor behind their steady advancement up the career ladder. I’ve even met some bitter people that say statements like “No wonder he’s so happy, he makes so much more money than me!” or “They only talk so nicely about the company because the company have looked after them, giving them big salaries, nice offices, or good bonuses!“. The list goes on and on! The big salaries and nice perks are the results of consistent positive actions and belief in themselves. These people had positive attitudes when they started – it is the REASON they climbed the ladder … not the RESULT of climbing the ladder. The positive attitude came first! Many people haven’t woken up to the fact that a positive attitude is behind every successful person. You won’t work as hard or as efficiently if you have a bad attitude. You won’t take chances if you see every fresh opportunity as a difficulty or an inconvenience. You won’t move forward if you are always afraid of change. I was on the bottom rung myself once and my positive attitude carried me upwards. I then started studying the most senior people of my current company to see what brought them their continuing success. I spoke to many of them to ask what they thought was behind their success. The familiar theme was that they all tried to enjoy their job and approach each day with a positive attitude. Not everyone can be a senior manager but having a positive attitude will help you perform better in any role you do and progress your career so much more than having a negative one. Having a positive attitude will allow you to find the good aspects of your organisation and current position. It will help you build better relationships with others and you will start finding opportunities for process improvements. Instead of dwelling on problems or complaints, you will start finding solutions. Having a positive attitude can be the difference between those that succeed and those that spend their lives complaining. Look around at those that complain about the company or their job – what level are these people at? Look at the people that have a smile on their face, the ones that take everything in their stride … if they’re not in a senior position yet it won’t be long until they get there. Being positive and upbeat does not go unnoticed. Senior management will recognise the quality and attitude they possess themselves in others below them and, when the chance comes, they will help you up. If you are sitting thinking “Well, it’s never happened to me. They don’t help me up!” … have you considered that maybe your attitude isn’t quite as positive as it could be? There is always room for improvement. There is always the possibility of lifting yourself out of the victim role and making things happen. If you don’t believe me, go and study the successful people yourself. Talk to the managers of your company. Find the most successful person you know and ask them what they think makes them successful. Ask them what strengths they consider themselves to have and how they approach challenges. You’ll struggle to find any that spend their day gossiping or complaining about things! You will however find that many, probably even all of them, will be solution seekers. You will find these people are those that rather than dwelling on the problem would rather solve the problem and move forward. I may be generalising but I stand by the results I have found from my own research. You won’t start being truly successful if you have an attitude of complaining and finding the bad in each situation. An ego or arrogance will only carry you so far if you have a bad attitude behind it. Do whatever it takes to make your attitude as positive as you can and watch as things dramatically improve around you. 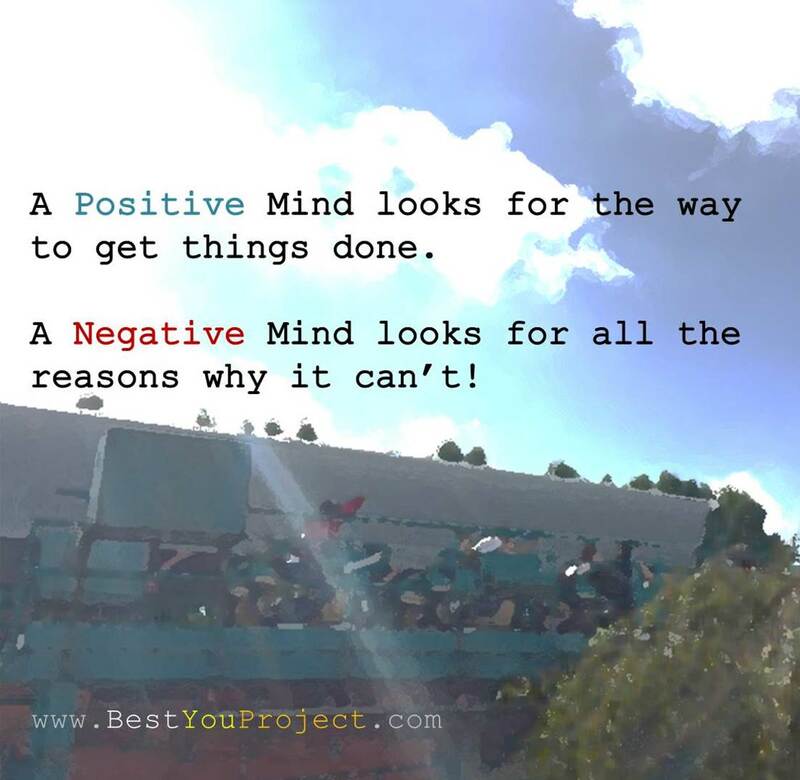 There are many helpful techniques you can use to build a positive attitude, if you need a little help try reading my Creating a Positive Attitude blog post. Previous Post Would you like free Promotion of YOUR blog?? Hey, great post! 100% agree, a positive attitude is a must and often times can be more valuable than intelligence. Thanks for sharing and all the best! I’ve came across so many people in life you have left University with wonderful qualifications, but who also think they have an automatic and given right to a better working career as a result. Intelligence, in my opinion, has never defined anyone. It’s a person’s on going commitment and application to develop and enrich their lives by reaching both personal and professional goals which stands them apart. True intelligence is then reached. It’s that positive attitude which will bring them to each level of self awareness and success they strive for in life.